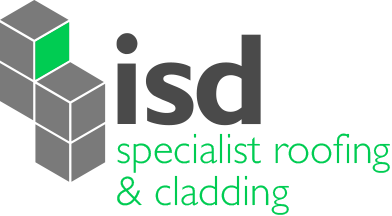 ISD Solutions are looking for an energetic and diligent Sales Estimator to join our existing team. Ideally, the successful candidate will have experience working in a similar role and be used to working on several different projects at any one time, maintaining a dialogue with the customer and delivering timely and accurate cost plans. Construction industry experience or qualifications would be beneficial, however, these are not essential as full training will be provided. Experience working with Microsoft Excel is essential for this role. To prepare detailed cost plans and tenders for clients’ projects within required deadlines. To deliver outstanding customer service by ensuring all enquiries and quotations are handled efficiently and effectively. To assess and accommodate clients’ requirements from enquiry information provided. To pre-qualify information from and liaise with the external sales team. To build and maintain customer relationships through emails, phone calls and face-to-face meetings. To liaise with suppliers to acquire inclusive and competitive quotations for use within our cost plans, within the required deadlines. To seek support from and liaise with senior Estimators and Project Managers to ensure a feasible and technically accurate cost plan is submitted to the client, and that any revisions and variations are prepared in a timely manner. To pro-actively utilise the company IT system, ensuring information on the status of enquiries and projects is kept up to date. This is a predominantly office-based role working within a team. There is a requirement to attend site meetings from time to time, and as such we require the successful candidate to hold a UK drivers license with full Category B entitlement. The successful candidate must be friendly and approachable. Someone that takes pride in their personal appearance and makes a good impact inside & outside the company – not just in their standard of attire but in their workspace, car etc. They will have good communication skills at all levels, possess excellent time management skills and be trustworthy, resilient and hard-working. Candidates should show flexibility to assist with other office projects and processes during busy times and to cover staff leave. Verbal and written negotiation skills, an ability to work well under time pressure and to integrate into an existing team. GCSE or equivalent in English Language and Mathematics. Competent IT skills including Microsoft Word, Excel and Outlook. Experience in a previous customer-facing role, ideally in sales. Valid UK drivers licence with full Category B entitlement. Competitive salary, Monday to Friday working hours. 25 days holiday entitlement in addition to England bank holidays. Email KBowsher@isd-solutions.co.uk to apply for this position.